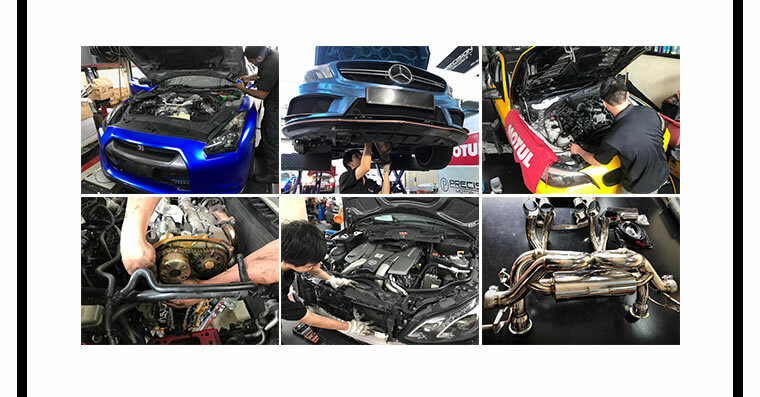 They are a team of enthusiast car owners who have grouped together with a professional and experienced team assembled from former agent companies such as BMW, Mercedes-Benz, Audi and Volkswagen. With the industry's best practices and knowledge, Precision Motorworks strive to achieve precise and comprehensive solutions for their customers. They offer Wheel Alignment services using the latest Hofmann Wheel Alignment machinery. They welcome all car model and makes to the workshop for servicing! indeed a great workshop . Price are cheaper compair to my older workshop. Went there for their motul 300v servicing package for my bmw f10 .. Technician Mr loh also very professional when i ask him question about my car..